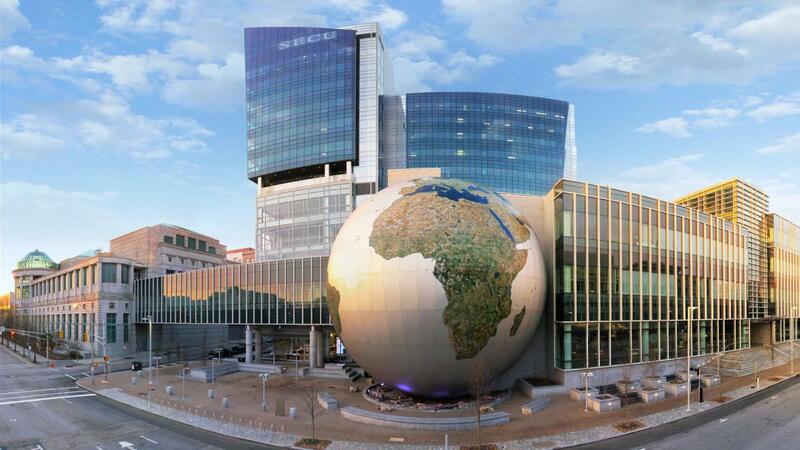 Top 25 Reasons to Meet in Raleigh, N.C. | Meetings & Conventions in Raleigh, N.C. The Raleigh Convention Center is 150,000 square feet of Silver LEED-certified and sun-drenched space, opened in 2008 and still shiny like it’s brand-new. The center includes everything a meeting planner might need: break-out rooms, catering, loading dock, tech support, plenty of parking–you name it. Downtown’s convention campus consists of the Raleigh Convention Center, Raleigh Marriott City Center, Sheraton Raleigh Hotel, the new Residence Inn Raleigh Hotel and walkable things to do and restaurants. Within mere steps of the convention center are facilities designed to augment the convention experience: Duke Energy Center for the Performing Arts, Red Hat Amphitheater and City Plaza with a combined seven stages and numerous meeting spaces. Hotels mentioned above on the convention center campus are truly top-notch, Three-Diamond hotels. Numerous additional high-quality hotels are within a five- to 10-minute drive. In addition to downtown, there are four more meeting districts in Raleigh, N.C.; Midtown, Airport, Cary and Raleigh West. Each of these districts includes full-service hotels, restaurants and attractions that can accommodate your attendees. Sometimes it adds an extra dimension to your event to take attendees on the road to meet in a unique meeting space. Raleigh has those in abundance and they range from the General Aviation Terminal at RDU International Airport to the Raleigh Municipal Rose Garden at Raleigh Little Theatre to local-favorite live music venues. 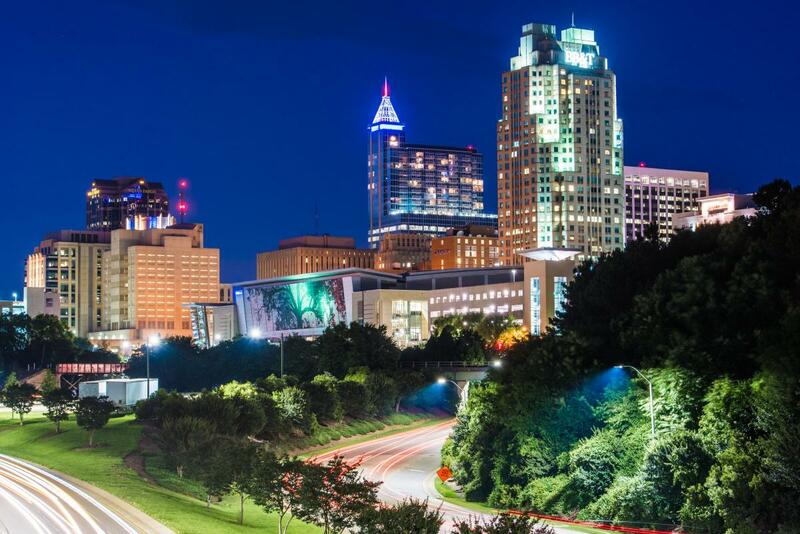 Raleigh is centrally located on the East Coast of the U.S., halfway between New York City and Miami. Almost 100 million Americans are within a half-day’s drive of Raleigh. 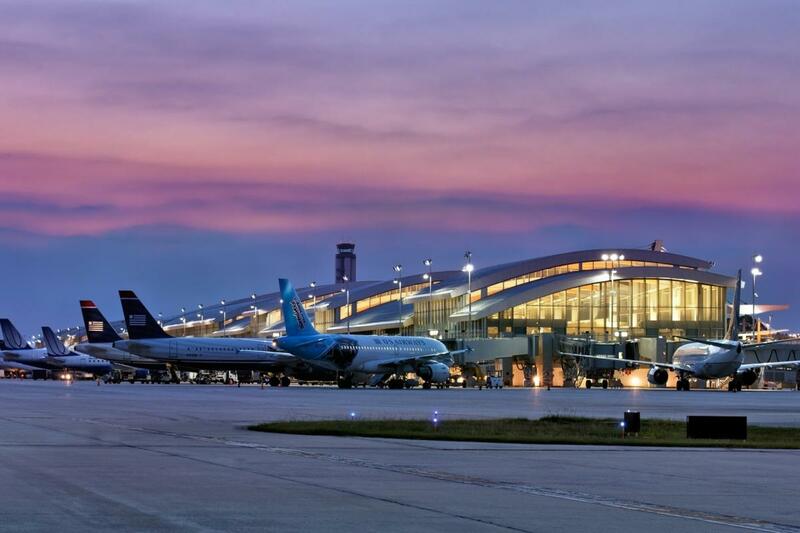 The Raleigh area is fortunate to have one of the best airports in the U.S., RDU International Airport. RDU hosts 400 daily flights from more than 65 nonstop locations, including Paris and London. Almost 100 million Americans can reach Raleigh in two hours or less by air. Raleigh has everything any major city has—taxis, Uber, Lyft, buses etc.—but a few options that other cities may not have. You can take the R-LINE (the free hybrid-electric bus around downtown), grab a rickshaw or rent a bike. 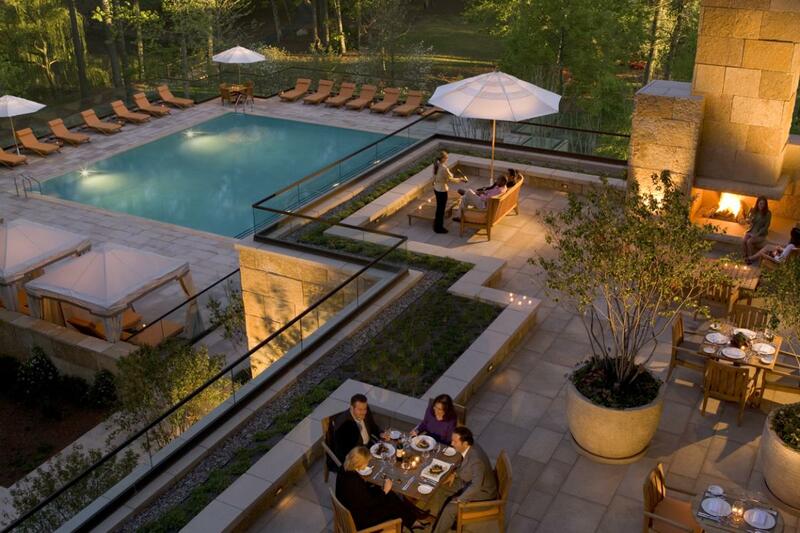 The Raleigh area has more than 1,200 restaurants including every flavor, cuisine type and price point you can image. 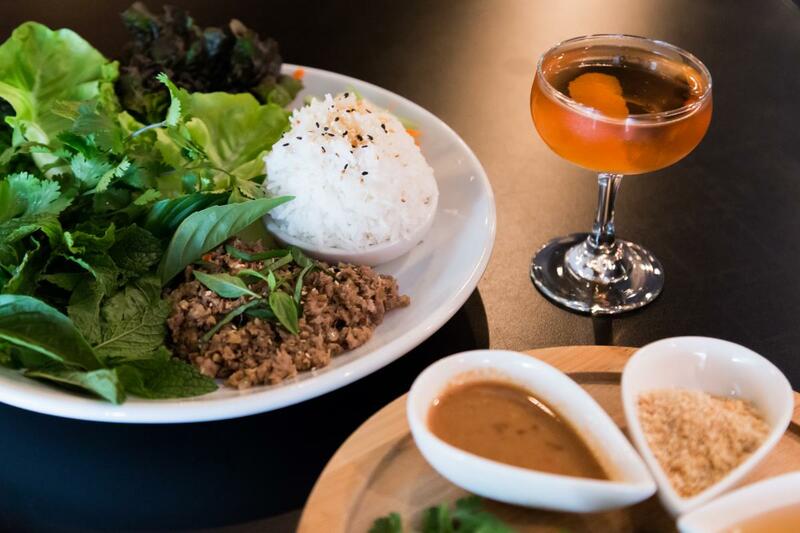 Your attendees can choose from among some of the best barbecue on the planet to Laotian to French to Southern-fried chicken. You may already know that there’s some pretty good college basketball in the area. But there’s also professional hockey, as well as soccer, baseball, BMX biking, rock-walls, zip-lining, scuba-divining, roller derby, cricket…almost every sport has facilities available to attendees. 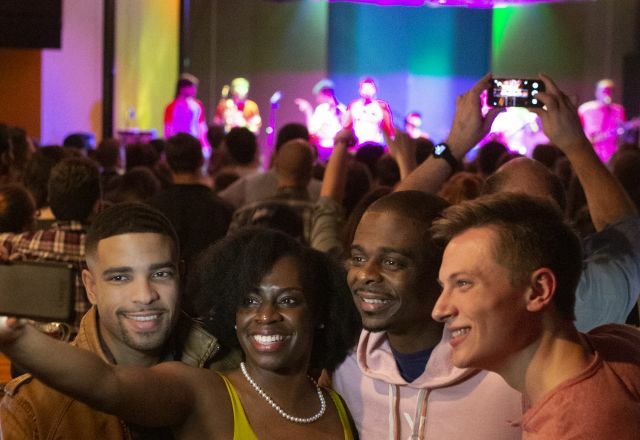 Raleigh’s vibrant performance culture is enthralling. From dynamic local troupes to nationally-acclaimed touring companies, theatre to symphony concerts, there’s always something to see on stage. The North Carolina Museum of Art, CAM Raleigh and numerous galleries offer visual arts for the viewer. Raleigh holds dear its history and preserves more than 200 historic places on the National Register. Numerous museums (the North Carolina Museum of Natural Sciences, North Carolina Museum of History and North Carolina Museum of Art are all free-admission—Natural Sciences and History are both a short walk from the downtown convention campus), historic sites, programs and special events lay out a bevy of stories for history buffs, collectors and the endlessly curious. It’s that rush of excitement when the lead singer steps to the microphone, when you sing along with your favorite songs or hear a tune for the first time. It’s the energy of live music, and Raleigh has it in abundance. There’s a lot going on after dark in Raleigh. One of Raleigh’s hottest hot spots is Glenwood South, downtown, with bars, restaurants, live music venues and more, open well into the wee hours. Variety—it’s become one of the best things about shopping in the Raleigh area. Household names you know; fresh, new and different merchants you’re seeing for the first time; the soulful, energetic makers themselves—the storefront forecast calls for sunny and warm conditions. It’s hard to describe the personality of an area, but Raleigh has a fascinating combination of modern, contemporary, forward-thinking people mixed with its traditional, warm Southern roots. The two blend beautifully. Raleigh isn’t known as the “City of Oaks” for nothing. 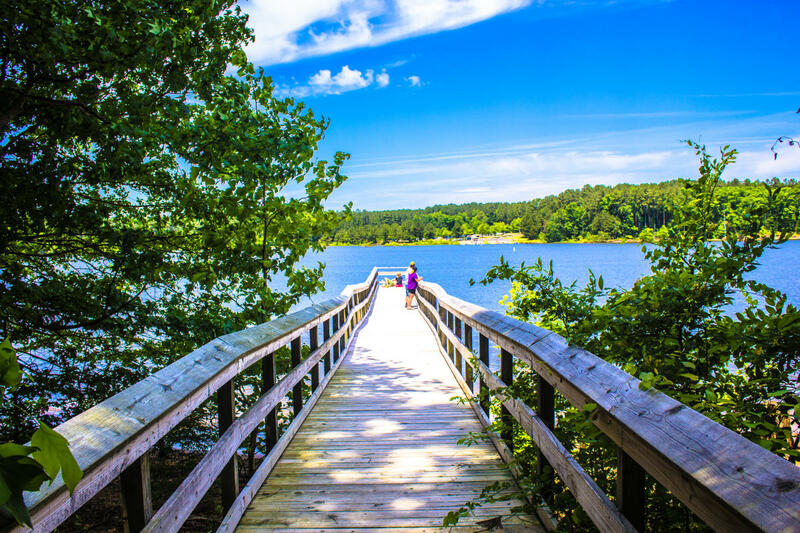 Often described as a “park with a city in it,” an oak canopy practically covers the area, and there are also lakes for water activities, parks and greenways. If your event schedule matches up, your attendees may be able to take advantage of the many events and festivals on the calendar in and around Raleigh all year long. Aim for early fall and you have your choice of 10+ festivals in downtown alone, including Hopscotch Music Festival in Sept. and PNC presents Wide Open Bluegrass in late Sept./early Oct.
Raleigh has seen more growth in the last 10 years than many cities see in decades. The population has grown, there’s a construction boom and a lot of great ideas are taking shape and becoming reality. It’s a great time to ride the Raleigh wave. Check out some new developments, here. Around here we call them passionate minds—residents who have a dream for a product or a facility or program and have found Raleigh to be a conducive place to make those dreams real. 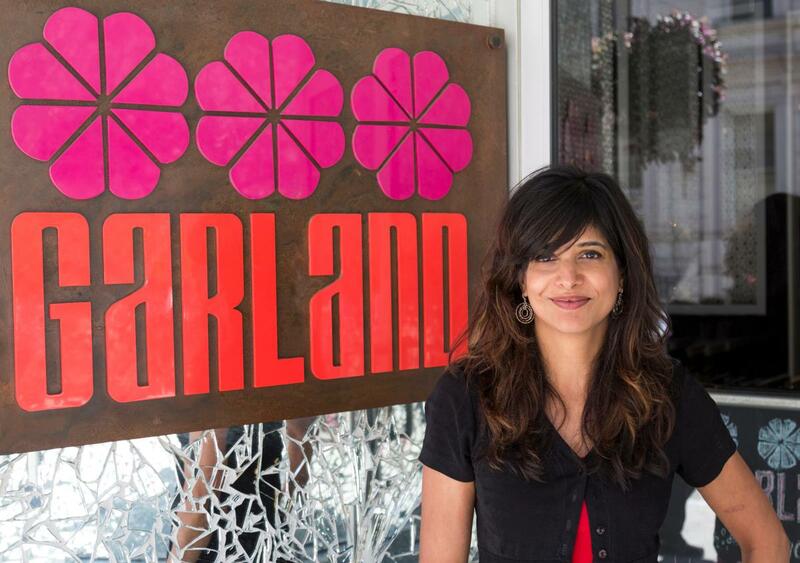 Take rockstar chef Cheetie Kumar for example, who was recently nominated Best Chef: Southeast by the James Beard Foundation and co-owns Garland, downtown Raleigh&apos;s restaurant specializing in Indian and Pan-Asian dishes, reinvented with Southern flair. Not to mention, she also owns the cocktail bar Neptunes Parlour and concert venue KINGS (pictured in header), all under the same roof as Garland. She&apos;s just one example of the Raleigh “mindset;” if you can dream it, you can make it happen here. 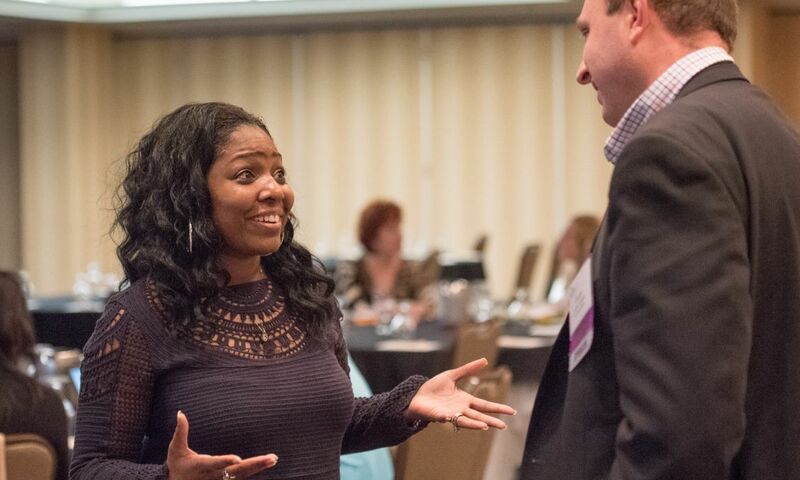 Given its location in the midst of the one of the richest brain trusts in the country and surrounded by stellar academic institutions and the Research Triangle Park, there are many bright minds in the area to whom we can introduce you to support your event. Visit Raleigh has created a directory of local service providers who can help you with what you need for your event. These are professionals with whom we have worked before, and we can vouch for their reliability. It’s cliché, but it is true. People in the South, Raleigh included, are some of the kindest, warmest and most helpful people anywhere. No matter who you are, you will find kindness abounds here. 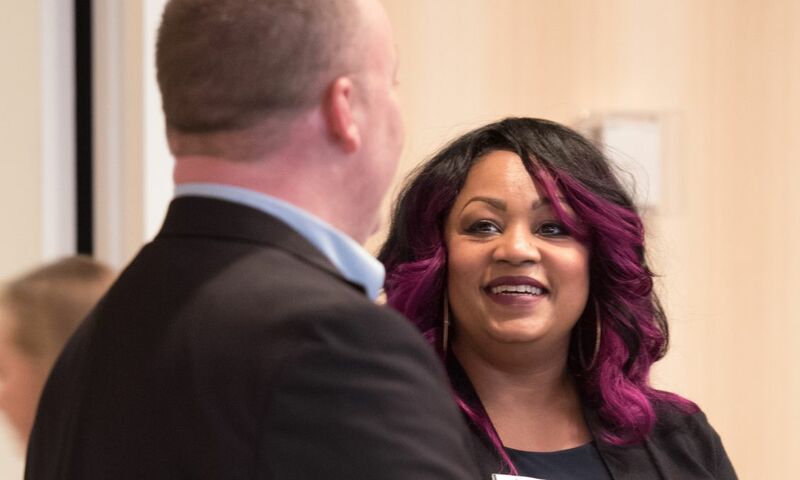 Speaking of kind and helpful people, the Sales and Services staff at Visit Raleigh loves to help meeting planners pull their events together and make them as easy and effective as they can possibly be. We also love helping attendees get the most from their experience here.